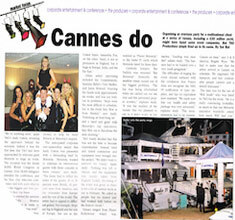 Magazine article about TAO's production and their event management role in the 3GSM World Congress in Cannes for Motorola. 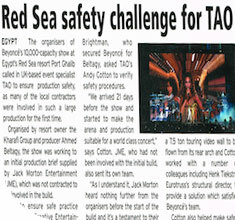 TPi Magazines article on TAO Productions management of the opening of the Port Ghalib Resort in Egypt featuring a concert by Beyonce. 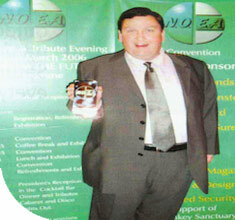 Magazine report on TAO's training courses for Canadian Emergency Services in Halifax, Nova Scotia. 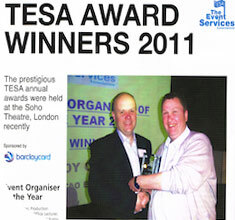 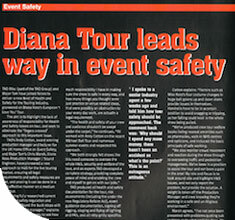 Magazine article covering TAO Group's role as Safety Managers for the Diana Ross European Tour. 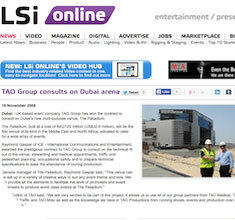 Magazine article about TAO's production consultancy contract on the Dubai Palladium. 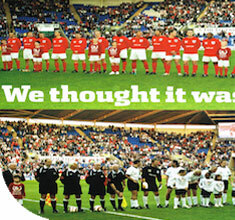 RSVP Magazine coverage of the Sky Televised Pro-Celebrity Football Match between England and Germany event managed by TAO Group. 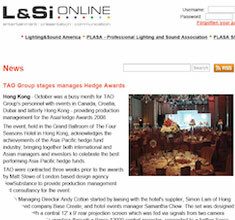 Light and Sound Internationals online coverage of The Asia Hedge Funds Awards in Hong Kong which was production managed by TAO Productions for New Substance. 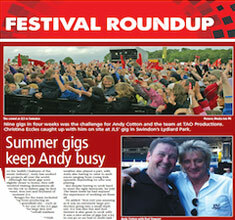 Magazine feature on the summer season for TAO featuring shows with Bon Jovi, JLS and Rod Stewart. 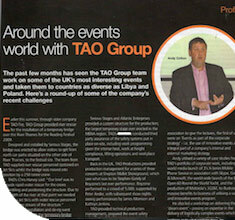 Event Magazines profile of TAO and its work in as diverse countries as Libya and Poland. 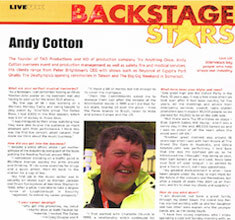 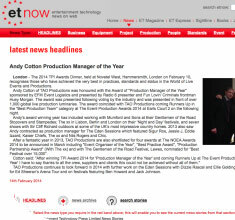 Audience Magazines Profile of TAO Productions founder Andy Cotton. 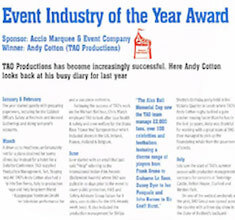 Live Magazines coverage of TAO's role in Public Protection and Safety athe The Bollywood Awards in the UK. 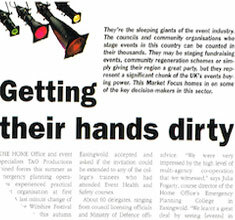 Press coverage of The Home Office visiting the TAO produced Wiltshire Festival as a training session for emergency services and councils. 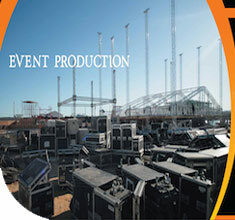 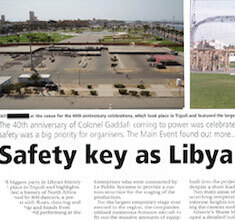 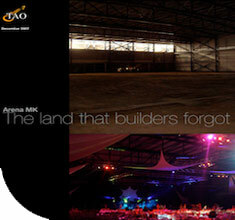 Event Magazine covers the safety role of TAO for the largest stage ever constructed in Libya or the region in general. 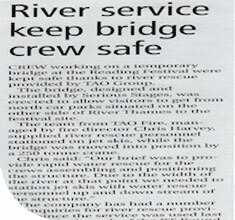 Event Magazines article on TAO Fire's river rescue capabilities for the Reading Festival bridge construction. 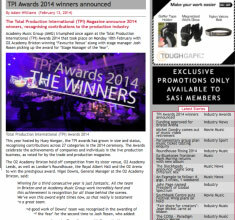 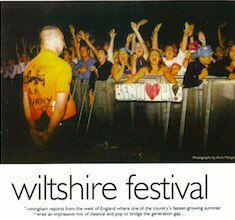 Total Production Magazines coverage of the TAO organized and managed Wiltshire Festival.